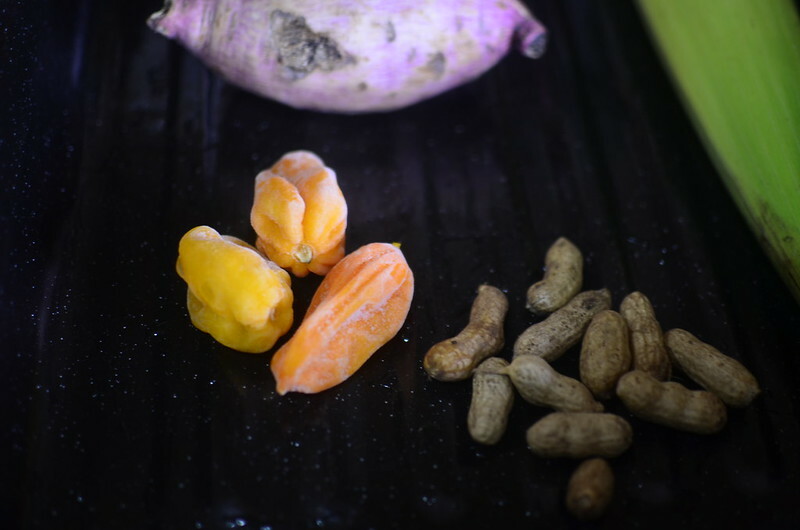 I’m so thrilled that this season of corn and yellow peppers, ose Nsukka is the one which follows mango season. This is the season of monsoon rains, nights lulled to sleep with drizzles and mornings rudely awoken with pounding drops, thunder and lightening. 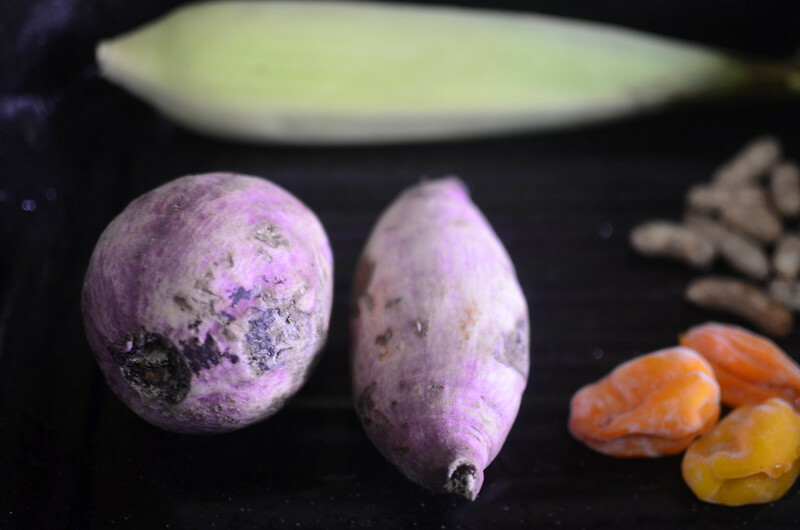 These purple-skinned sweet potatoes were a wonderful gift from a friend who visited her hometown in the East of Nigeria. They are soooooooooooo fresh. I’m thinking of a hash or pottage with them. We shall see. These peppers are no stranger to my life and love. I am crazy about them, everything about them – their flavour, fragrance and heat are so warming. I’m happy and intend to fill my deep freezer with bags, and bags of them so when they go out of season I’m covered. Did I also mention I’ll be making some hot sauces? No? Oh well, I will. 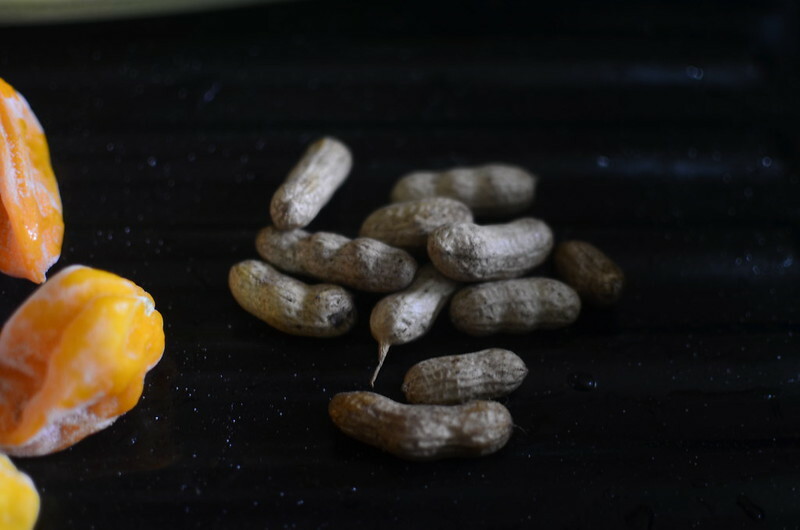 I got my first batch of raw nuts over the weekend and boiled them. You’ll also see bags in traffic, long cones of ‘perfectly’ salted soft nuts. Buy if you must, borrow, beg but having some is a must. Oh yes, corn. Frustration over tough starchy cobs has given way to joy at finding fresh, sweet corn. 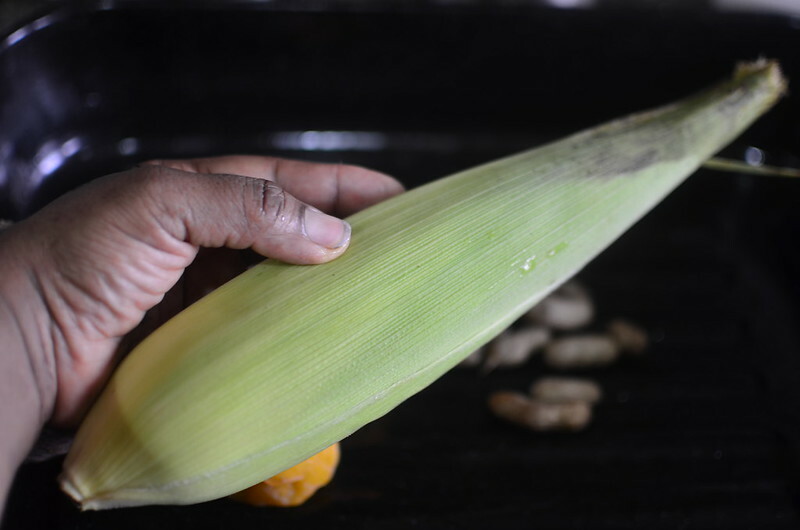 Even if the grains are scanty along cobs, the joy of sucking of corn salted water from the cobs when they are don cooking is heavenly.